With fiscal constraints at home, defense industry is recouping revenues abroad, while enhancing U.S. allies’ capabilities. Facing defense budget cuts in the hundreds of billions of dollars over the next decade and an increasingly complex world made all the more challenging by the emergence of China as a strategic competitor, the Pentagon is hoping to hit two birds with one stone by exporting more arms abroad — drones, in particular. Starting last year, the Barack Obama administration launched a wide-ranging program to establish, and in some instances loosen, guidelines on arms exports to foreign countries. Through those efforts, the government hopes to create a comprehensive policy that would unify the two lists of defense-related export items administered separately by the State Department and the Department of Commerce. Defense firms, which could reap huge benefits if exports policies were streamlined and restrictions loosened, patiently await the decisions by Congress and the State Department on the matter. While the policy makes its way round government, agencies have adopted an interim measure by evaluating whether some of the categories from the Munitions List could be moved to the Commercial List. Although such a move wouldn’t mean that a defense article has become “decontrolled,” it would nevertheless make it easier for the U.S. government to export sensitive weapons systems to close allies. 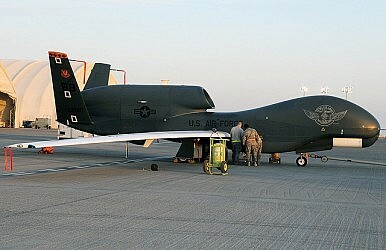 According to recent reports, new rules, if adopted, would make 66 countries eligible to purchase unmanned aerial vehicles (UAV) from the U.S., including Northrop Grumman Corp’s RQ-4 Global Hawk. While those countries have not been named, Japan, Singapore and Australia have reportedly shown an interest in the UAV. A deal with South Korea last year didn’t go through, reportedly due to Seoul’s budget constraints. Proponents of the new mechanism argue that longstanding rules on “dual-use” — devices that have both civilian and military applications — are putting U.S. manufacturers at a disadvantage against competitors that are not subject to such regulations. They also argue that strict regulations preventing the export of certain technologies risk eroding the U.S.’ market share of the global arms trade and favor major competitors like Russia and China. While those regulations exist for a reason — mainly to protect the theft of sensitive technology — the pendulum appears to be swinging away from caution and towards a more liberal exports regime. There are two possible reasons for this. The first is purely financial as the U.S. defense industry looks abroad to recoup some of the revenue lost as a result of the cuts in the Pentagon’s budget. That process already appears to have begun: According to the Congressional Research Service, U.S. arms sales last year experienced a threefold increase over 2010, reaching U.S. $66.3 billion, the largest single-year total arms sale value in U.S. history, and accounting for over 75 percent of the global arms market. Asia in particular, whose defense spending this year surpassed that of Europe for the first time, will prove an attractive market to U.S. firms. Several countries there are in the process of modernizing their forces, a process that has accelerated recently amid rising tensions with China in several overlapping areas in the East and South China Sea. It is also the one region that so far has managed to weather the global financial downturn, meaning that governments in the region might be somewhat less reluctant to loosen the purse strings to acquire weapons from the U.S.
U.S. defense companies also fear that restrictions limiting arms exports could encourage allies to develop their own, a long, costly process that would not only hurt future U.S. arms sales but also deny allies the articles they need to ensure their immediate defense needs. The second, and related, reason why the Pentagon is keen on seeing the revisions become a reality is that the Obama administration, “pivot” to Asia notwithstanding, would rather see its close allies bolster their defenses than for them to piggyback on U.S. forces. In times of fiscal restraint, why should the U.S. have to pay the bill for surveillance operations over the Diaoyutai/Senkaku Islands and its surrounding waters using its own RQ-4 Global Hawk when Japan could acquire its own? And in several peripheral contingencies, Americans would reasonably prefer that Japanese, or Filipinos, defend their own interests — preferably using U.S. arms — than to see U.S. servicemen and women get in the line of fire. Loosening up restrictions could also make sense from the perspective of U.S. allies. In a related analogy, the State Department, for example, continues to enforce Missile Technology Control Regime (MTCR) regulations on its ally Taiwan. This prevents the island, which must adopt an asymmetrical/counterforce strategy to deter China, from extending the range of its cruise missiles. China, meanwhile, continues to benefit from unrestrained arms transfers from Russia, thus putting the U.S. ally at an unenviable disadvantage. In the end, U.S. politicians will have to strike a balance between allowing further arms exports, the risks of acquisition of sensitive technology by competitors, and the likelihood that a more permissive regime will spark arms races in the regions where the sales occur. Will America's Addiction to Drone Strikes Backfire? The over-use of armed UAVs sets a dangerous precedent as more nations acquire the technology.